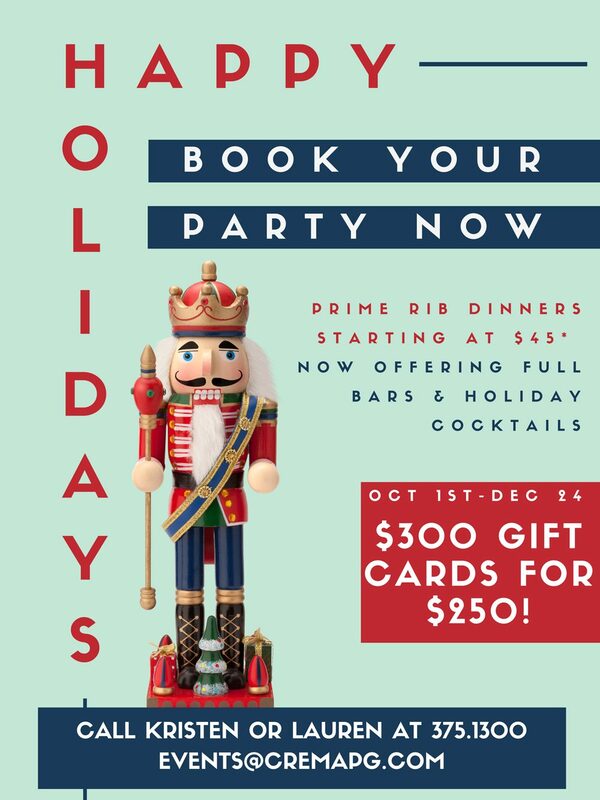 Crema Pacific Grove | Book your holiday party at Crema! Book your holiday party at Crema! 13 Sep Book your holiday party at Crema! Book your holiday party at Crema!! AND starting October 1st… our Holiday Gift Card Promo returns – $300 Crema Gift Cards for just $250! To learn more call Kristen or Lauren at (831) 373-1300 or email events@cremapg.com.